First-term Democratic Senator Kamala Harris of California, a rising party star and outspoken critic of President Donald Trump’s immigration policies, launched her 2020 campaign for the White House on Monday by touting her experience as a prosecutor. 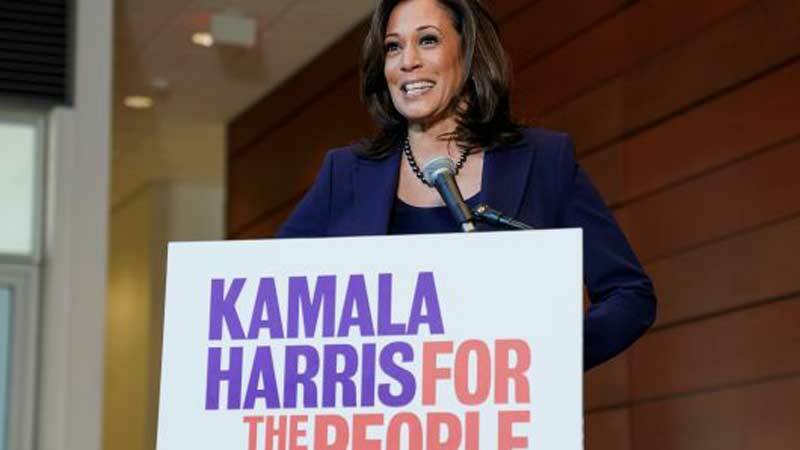 Harris, who made history in 2016 as the first black woman elected to the US Senate from California, timed her announcement for the US Martin Luther King Jr. Day holiday honoring the slain civil rights leader. She said he was an aspirational leader. Harris joins what is expected to be a crowded field to challenge Trump, the likely Republican candidate, in 2020. A half-dozen Democrats have taken steps to run and four of them – Harris, Senators Elizabeth Warren and Kirsten Gillibrand and US Representative Tulsi Gabbard – are women.